The Canal Museum is at the heart of the beautiful village of Stoke Bruerne on the Grand Union Canal. 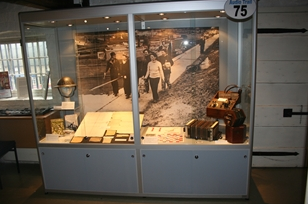 It’s a treasure trove of stories, displays, films and collections all about our waterways. The Canal Museum Housed on two floors of a historic corn mill, The Canal Museum provides an excellent overview of the history of Britain's canals. Together with the audio guide that is free with museum entry, it is the key to understanding the rich waterway heritage of Stoke Bruerne and the Grand Union Canal. 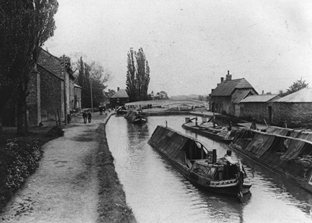 Follow the story of Britain’s canals from the great engineers and navvies who created them, to the boat families, leggers and lock keepers who lived and worked on them. You'll find models of working boats, traditional clothing, canal crafts, a re-creation of a boat builder’s workshop, beautiful old signs and more. Canals and Rivers Trust have a new homepage and Facebook page.